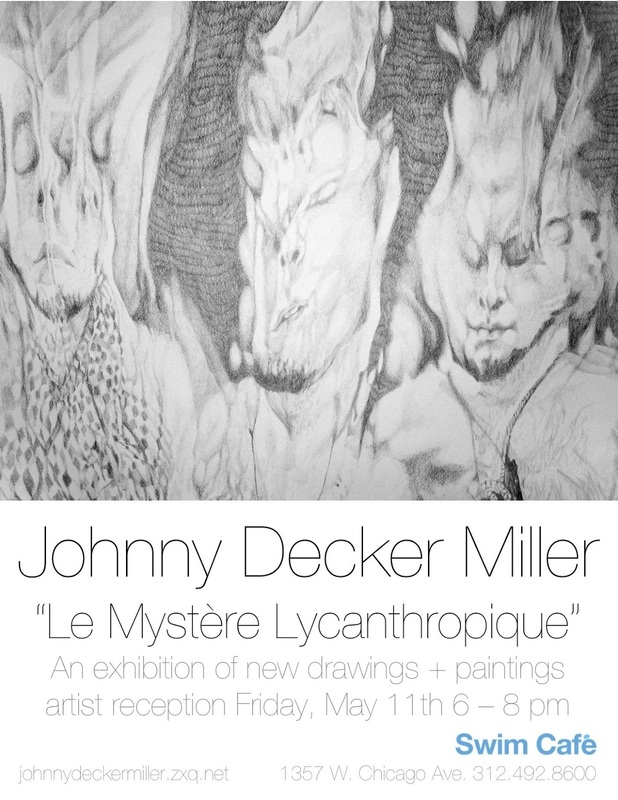 Johnny Decker Miller is a Chicago based artist whose work is currently on display at Swim Cafe. 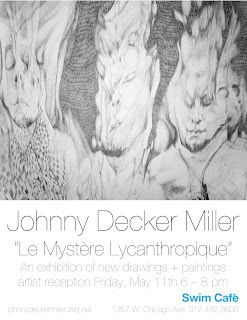 The current exhibition is titled Le Mystere Lycnthropique. 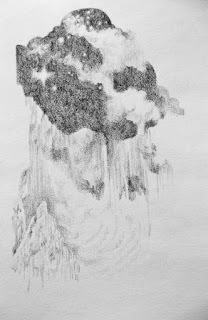 Images taken from the artist's blog. 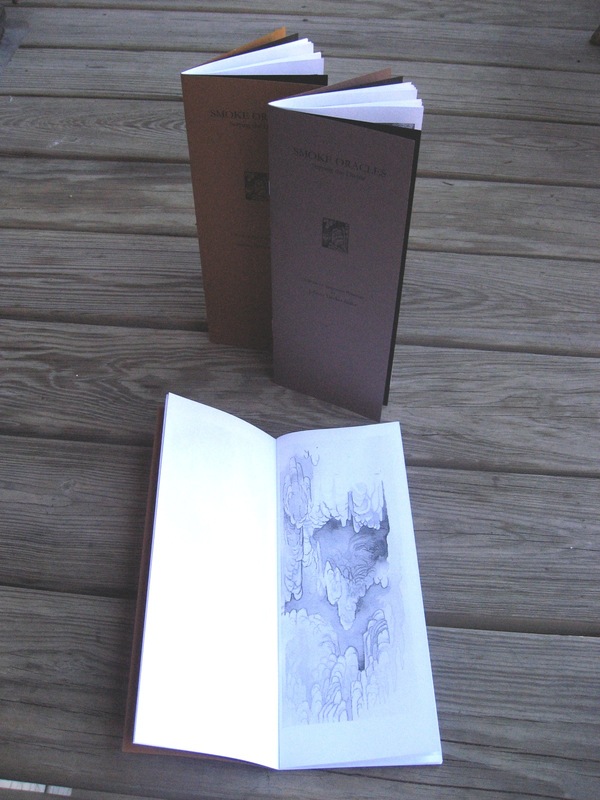 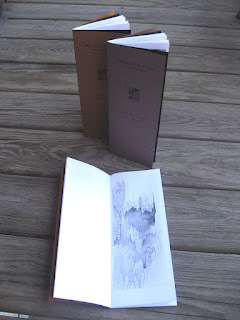 Chapbook of Miller's automatic drawings, Smoke Oracles. I saw this for sale at Alchemy Arts.